You'll be £12.99 closer to your next £10.00 credit when you purchase Barnsley in the Great War. What's this? Geoffrey Howse is well known for his books on Yorkshire subjects, including six books in the Foul Deeds & Suspicious Deaths series, two of which cover Barnsley and District and a third which covers South Yorkshire as a whole. In Barnsley in the Great War, he has pulled out the stops and delved deeply into a wide range of diverse events that took place throughout Barnsley during the time when the most horrendous conflict known to man was raging abroad. As well as including interesting passages about the enormous changes that were taking place concerning the employment of women in roles they had never imagined possible, he has also assembled some fascinating accounts spanning the whole of Barnsley, packed with interesting sometimes mind-blowing facts about this beautiful area and its wonderful people. 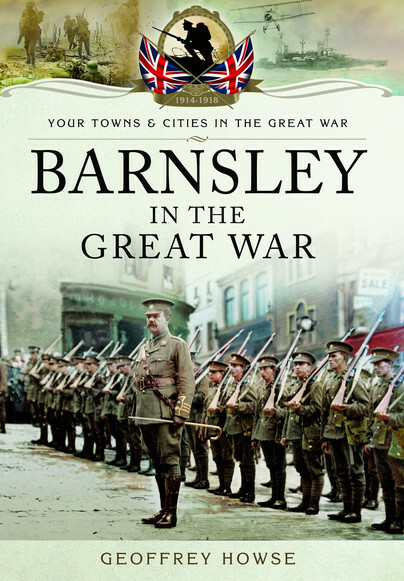 Within its seven absorbing chapters covering the prelude to the Great War and its aftermath, this book is sure to capture the curiosity of all individuals with an interest in the social history of Barnsley. The author has assembled some fascinating accounts packed with interesting facts. A great book covering the wider history whilst still maintaining the feeling of what it meant to the people of this small industrial town. I awaited with impatience the publication of Geoffrey's book and I was delighted to find that it exceeded my expectations. 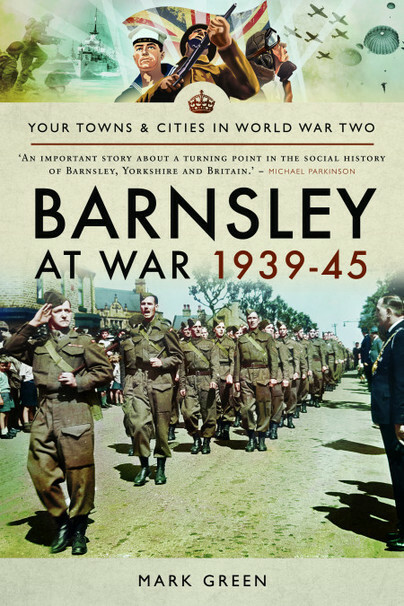 He has provided a comprehensive and entertaining account of life in Barnsley throughout the war. This book is Geoffrey's first military history and I recommend it wholeheartedly to anyone with an interest in Barnsley in the First World War. I hope he will continue to expand his repertoire!